Mirror and Gold Finished Metal Wall Sconce. Cut Corner Design. Keyhole Bracket for Hanging. Holds taper or pillar candle (not included). 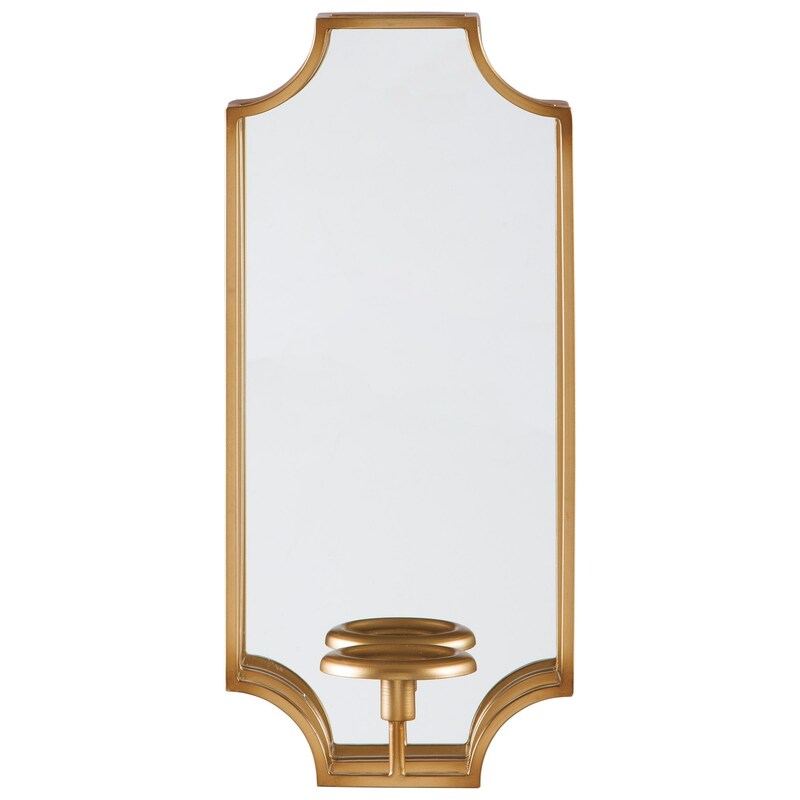 The Accent Mirrors Dumi Gold Finish Wall Sconce/Mirror by Signature Design by Ashley at Royal Furniture in the Memphis, Nashville, Jackson, Birmingham area. Product availability may vary. Contact us for the most current availability on this product.